Last night, we met up with the most gorgeous couple and their adorable two fur babies. Y’all know we love our fur babies! Vanessa and Steve were a dream come true. 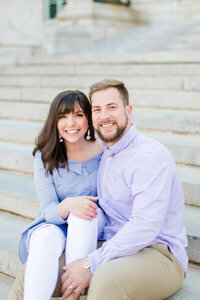 It was a beautiful evening at Mount Aventine – the perfect evening for an engagement session! It was so hard for us to narrow it down to our favorites! To view more sessions at Mount Aventine, browse the links below!